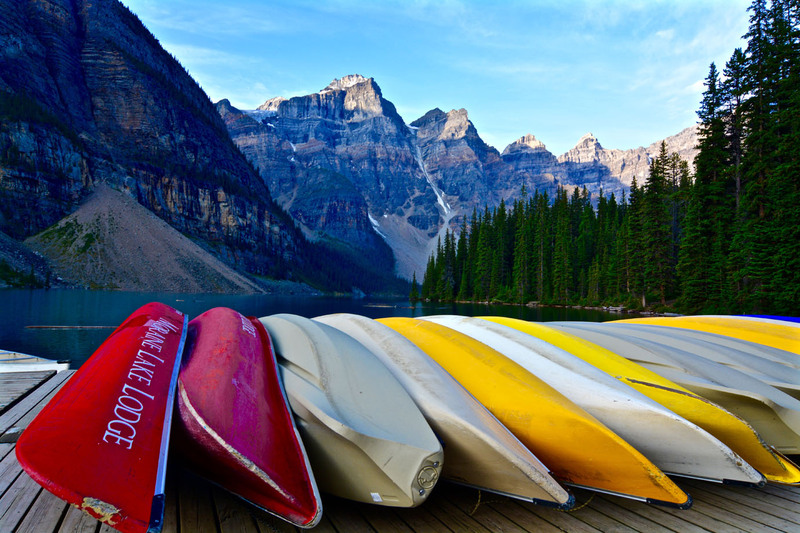 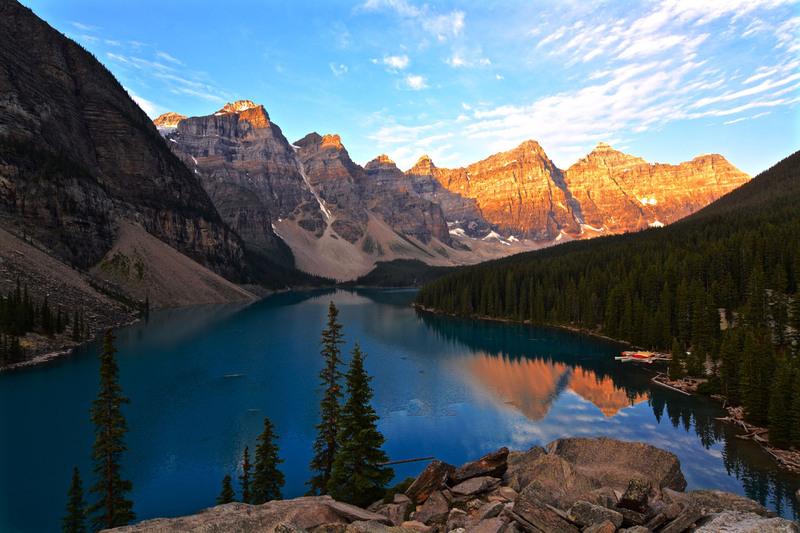 Moraine Lake is situated in the Valley Of The Ten Peaks in Banff Nationalpark, Alberta, Canada. 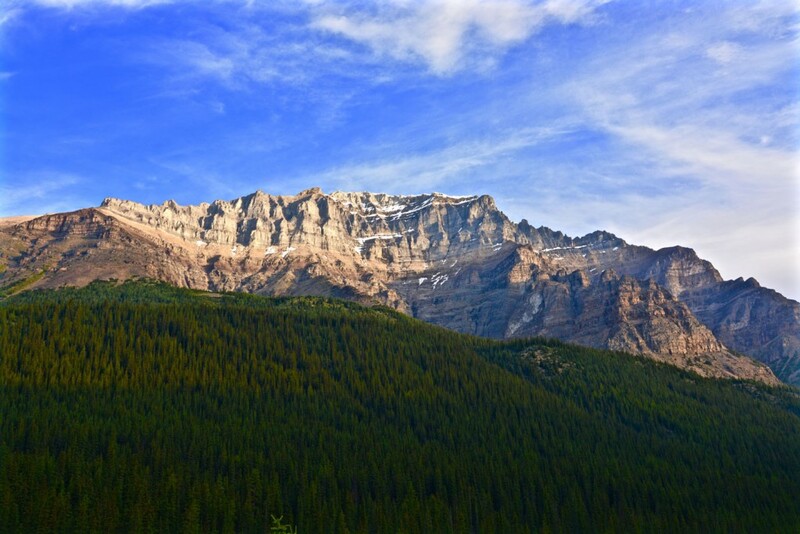 As it lies at an elevation of 1.883 metres it’s normally frozen up till the end of May. 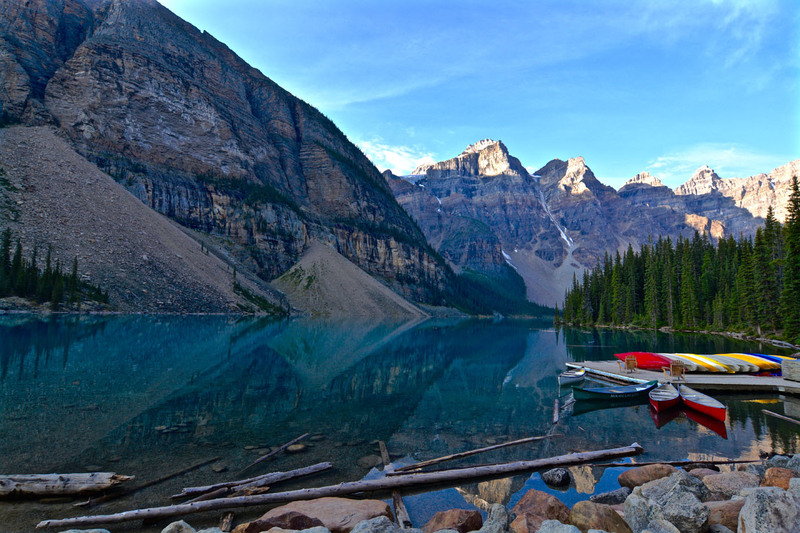 Glacially fed, the lake reaches its crest mid to late June. 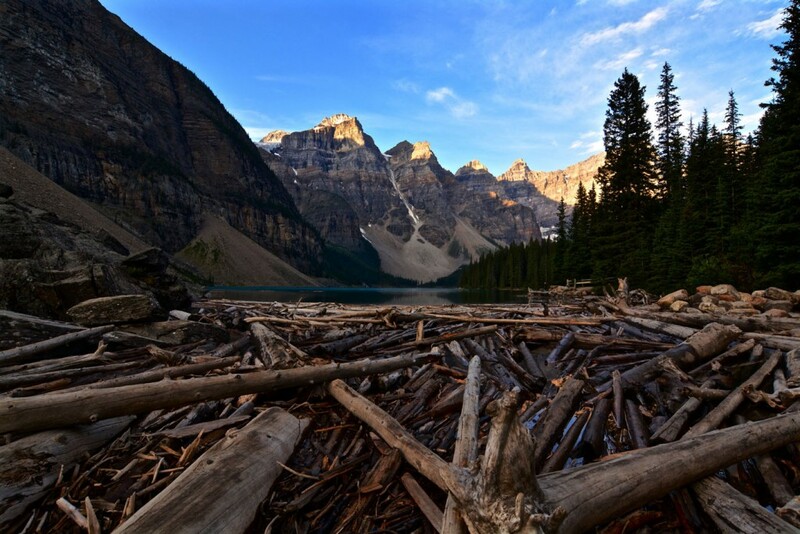 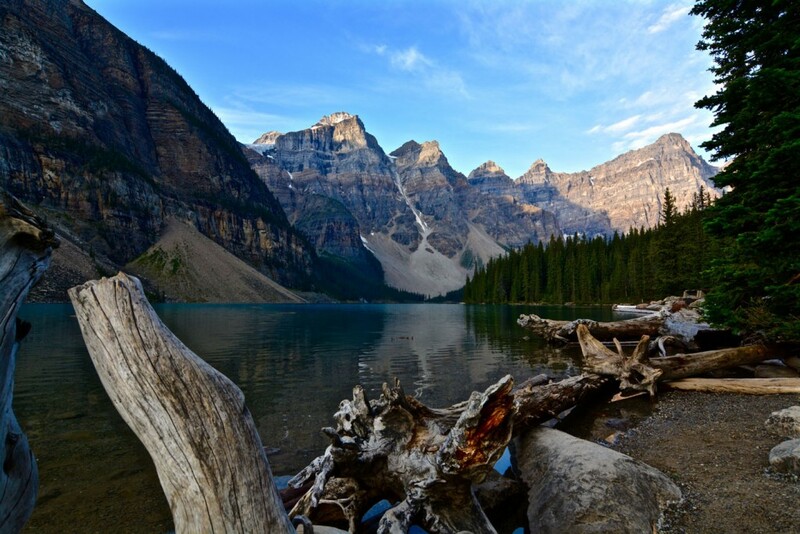 The fabulous picture of Moraine Lake and The Valley Of The Ten Peaks is also know as The Twenty Dollar View as it was used on the back of Canadian 20 dollar bills between 1969 and 1979.